Traumatic Brain Injuries From Car Accidents | Lombardi & Lombardi, P.A. There are a lot of serious injuries that you can end up with if you get into an automobile accident. One of the worst of these are traumatic brain injuries (TBIs) which can lead to any level of disability, temporary or permanent coma, or even death. These are caused by intense impacts to the head during the car accident. These types of injuries should involve seeking immediate medical attention and a careful assessment by a quality medical professional. It is important you be aware of any symptoms involving TBIs so you can be aware of them. Not knowing that you have one and delaying medical attention can result in more permanent damage to the brain. TBIs also often come within internal bleeding of the brain which can quickly become fatal. 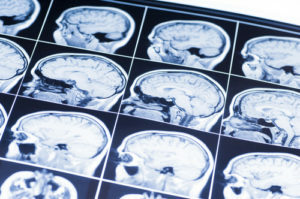 If you have a case regarding a traumatic brain injury, you may need extra assistance when developing your case, gathering evidence, and calculating the full extent of the damages. It will be important to keep up with all medical appointments and also get psychological tests which can fully assess the extent of damage to your brain. All of these details regarding your mental ability and capacity can be factored into the damages along with medical bills, income loss during recovery, therapy, pain and suffering, loss of bonuses, etc. It is advisable that you consider waiting to go to court or get the settlement until your doctor states that you are at your maximum medical improvement level. This means that no matter what the doctor does for you or any efforts you can make, you will be unable to improve your level of health or condition. This allows you to see the permanent effects on your wellbeing and quality of life and can help calculate a settlement amount when considering your level of disability. Because of the severity of TBIs and how complicated the injuries are, many attorney advise setting up an appointment for a full assessment of the injury and its effects on the victim. A quality medical professional’s assessment can be very helpful in a personal injury case as they can be considered an expert witness. Expert witnesses are special individuals permitted to testify on your behalf due to their special knowledge and skill in a specific field. These types of people can explain things and analyze situations in a way that the average individual cannot. Did you or a loved one sustain serious injuries due to a car accident in New Jersey? Don’t let the medical bills pile up while you wait for the negligent party or their insurance company to do the right thing. Right now, you need an aggressive personal injury attorney on your side, fighting to get you the compensation you need, want, and deserve. The skilled attorneys at Lombardi & Lombardi represent clients injured because of car accidents in Jackson, Perth Amboy, Woodbridge, Edison, and throughout New Jersey. Call (732) 906-1500 or email us to schedule a free consultation about your case. Our main office is located at 1862 Oak Tree Road, Edison, NJ 08820, and we also have offices in Edison, Brick, Freehold, and Point Pleasant Beach.